I am so excited about this. 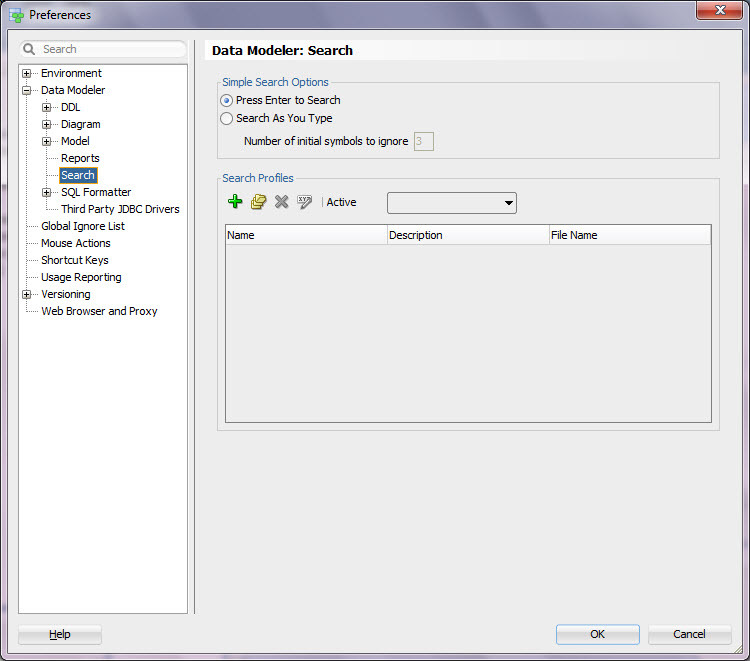 During “my day” I will show how Oracle SQL Developer Data Modeler works and what you can do with it. We will also talk about reporting, comparing, versioning etc. And I have never been to Romania before! I am so looking forward to this. I will meet the local Oracle user group during my visit and I hope I will also have a chance to see a little bit of Bucharest too. Bucharest: I will see you soon! P.S. Thank you Joel Goodman for including me to this amazing event! And thank you Cosmin Apostol for taking such a good care of everything! 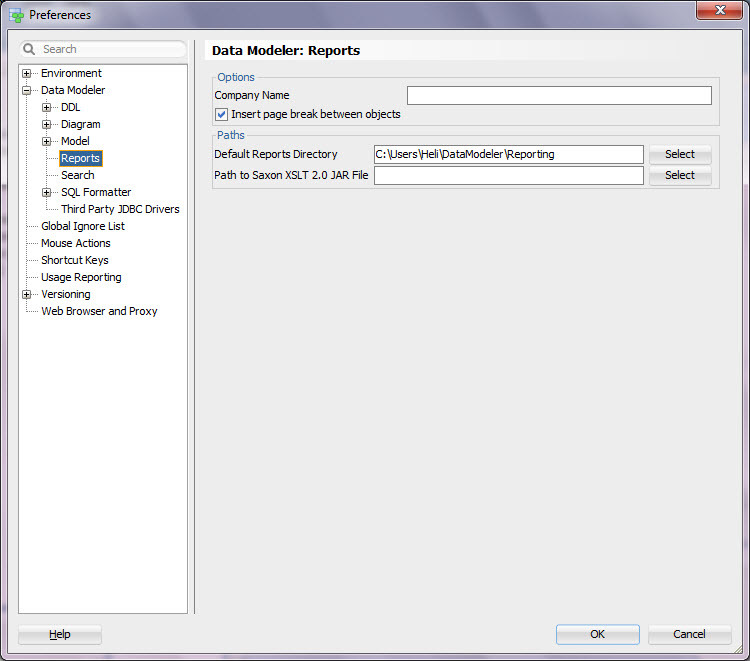 In Data Modeler you can generate reports either from open designs or from a Reporting Repository. Depends on what you need which one is the best. The format selections depends on the way of reporting and the templates used. A Reporting Repository can be any Oracle database. I recommend you create a new user in a database as the schema owner of the Reporting Repository. After you have created the user, edit the file datamodeler\datamodeler\reports\Reporting_Schema_Permissions.sql and run it in the repository to grant privileged needed. The first time you export a design to the reporting repository, the reporting schema structure is created automatically (log in as the schema owner). In datamodeler\datamodeler\reports\Reporting Schema diagrams, you can find the descriptions of the reporting repository structures. To export to the Reporting Repository select File | Export | To Reporting Schema. You can also maintain the reporsitory (drop/enable/disable indexes, delete designs from repository) from File | Export | To Reporting Schema and add/remove glossaries to/from the Reporting Repository. To run reports from the Reporting Repository select File | Reports or connect to the database and use SQL. I am home after a fantastic OUGN conference in Norway. I flew to Norway on Wednesday for a nice speakers’ dinner by the sea. Thank you Ann-Sofie and the rest of the board for a lovely dinner! On Thursday morning we took a taxi to the harbor where our cruise ship was waiting. This year the ship was even bigger than last year… The day started in the nightclub where we saw several presentations and keynotes before we were split into parallel sessions in conference floor. We were given our cabins during the lunch break, before the parallel sessions started and I had to rush to my cabin to change my dress. (thank you Hanne! The cabin was lovely!). In my cabin I had a gift from OUGN board waiting and a thank you card. OUGN board does know how to make us speakers welcome! New this year was the exhibition area which actually worked extremely well: we met the sponsors there and were able to have a car race, shooting, golf, fresh juice etc. Lunch was also served in the exhibition area. I had two completely new sessions at the OUGN15: Reporting with Oracle SQL Developer Data Modeler and Comparing designs and databases with Oracle SQL Developer Data Modeler. My first session was on Thursday at 3pm. I had a lovely room with sea view…I was a little worried I will be a bit absent in my own session because of the scenery… In the beginning the room was half full but there were more and more people coming in so eventually I think the room was pretty full. And I was not distracted by the view because the audience was far more interesting. I think the session went well and I made it in exactly 45 min as planned. I hope my audience understood the fantastic capabilities Data Modeler offers for reporting. After the days sessions the OUGN had their annual meeting and they elected a new board. Then we had a networking event in exhibition area and a nice dinner in one of the many restaurants on board. I had a pleasure of dining with my son, Gurcan Orhan, and Brendan Tierney. It was an extremely nice and fun dinner. After the dinner I had to go to bed because I am not 100% well yet and need a lot of sleep. The next morning I was up early and had my breakfast at 7 with Joel Goodman and Patrick Barel. At 8.30 I was invited to a WIT session lead by Kellyn Pot’Vin-Gorman. Unfortunately I had to leave in a middle of an interesting conversation for my next session that started at 9.30, again in that lovely room with a view… During my session we arrived to Kiel, Germany. I had a good audience again and I was extremely proud to see Jacco in the audience. I guess he liked what he heard and I hope more DBAs will see the value of Data Modeler in their work too… I probably need to prepare a session for DBAs… And I cannot be too thankful to Alex Nuijten who always attends my sessions and is such a good friend. After the session I met some nice OUGN members and I hope I helped them with their problems… the best part of traveling is meeting people and helping them. Last year I did not visit Kiel but this year I thought I should, especially because Björn Rost was waiting at the harbor with some sandwiches and gin… I, my son and Gurcan walked down to meet Björn and his “team”. Björn is always such a nice person to see! We had a nice meal and a chat, we did some shopping in Kiel and then back to the ship. At the end of day two there was a networking event in exhibition area and I still cannot believe this: I won an Apple Watch! I won it because the picture I tweeted. The jury found it the best. It must be because of my son. He is in the picture and smiles. The next morning Brendan and I continued our talk about something…it might really happen…who knows…you will be the first to know if so… Now it is still a BIG secret. I want to thank everybody who attended my sessions during the OUGN and I really hope you liked and learned. I enjoy sharing the knowledge and solving problems other users might have. Attending these events is also a chance to meet many of my friends. I am so grateful to have friends like this and to have the opportunity to meet them around the globe. I want to thank user groups to make it happen and the Oracle ACE Program for making it possible for me to attend these amazing events. This time especially thank you Oyvind! You are one of a kind! I wish you all the best, you are a great man.